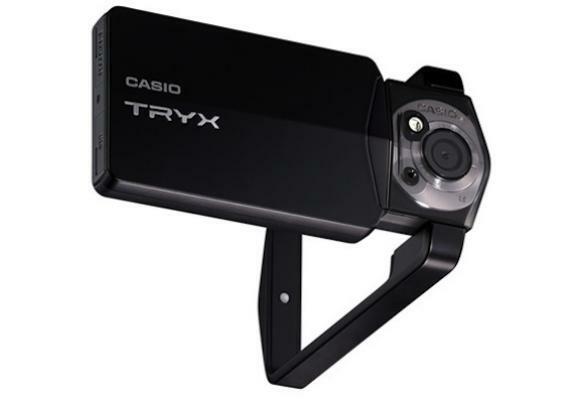 The Casio Tryx is a 12 megapixel camera with an odd twist – it’s got a twistable handle that lets you hold it at uniquely different angles so you can take photos of yourself for Facebook, MySpace and the like that look completely different from every other user’s headshot. It’s a neat feature that shows Casio has really done a lot of thinking of how people use social media. It’s also helped by a one touch upload to social media sites, and by a new art mode, which turns any photo into what looks like a painting. All very impressive, as you can see in the video below, and shows what can be achieved when companies think about how people are actually using their products.